Mark Bertram submitted this classic photo. 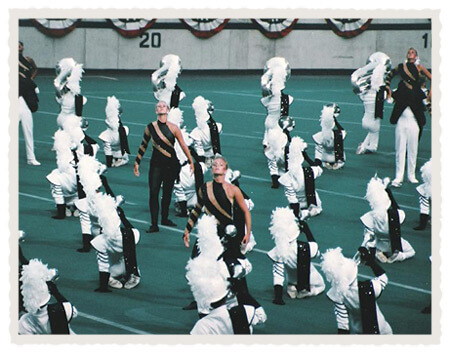 I marched as a member of the Phantom Regiment from 1986 to 1990 and taught several corps after "aging out." In the summer of 1994 I worked with a Division II corps which allowed me to see many Division I corps perform.